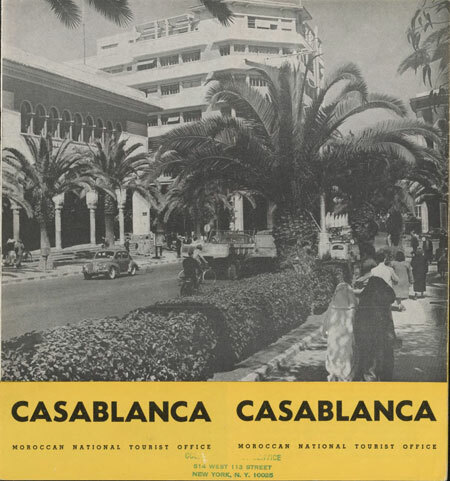 Today in History–November 26–the Library of Congress features Casablanca, Morocco’s main port city and the title of a future classic film, which premiered on this day in 1942. Just a few weeks before, the city was bombarded during General Dwight Eisenhower‘s “Operation Torch”. Less than two months later, the city was the site of an Allied strategy conference attended by U.S. President Franklin D. Roosevelt, British leader Winston Churchill, and French resistance leaders Charles de Gaulle and Henri Giraud. Find out more by visiting the Today in History section, then click the links below to access related resources.